It’s been a good couple of weeks at the Olympic Beach Ranger Station. Many visitors have come by, and there has been much to teach! One of the really cool creatures we have in our touch tank is a small Dungeness Crab. 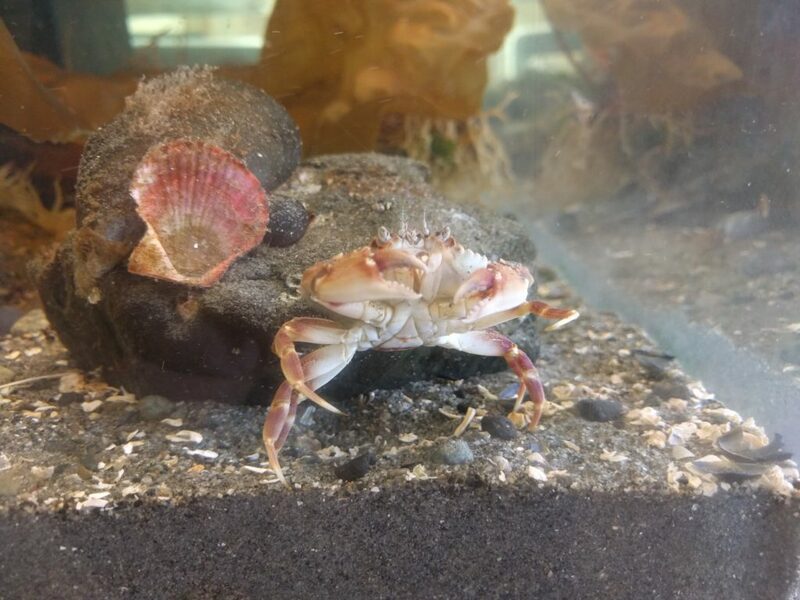 Spending many hours around a bevvy of inter tidal organisms, I thought I’d talk about some of the creatures in our touch tank, at the Olympic Beach Visitor Station. Today, it’s the Northern Feather Duster Tube Worm. It’s been some time since my last post, but I’ve not been idle! Research and conservation efforts continue in the background, and life continues to roll on. I’ve been volunteering at the Olympic Beach Ranger Station in Edmonds, WA, and let me tell you it’s amazing. 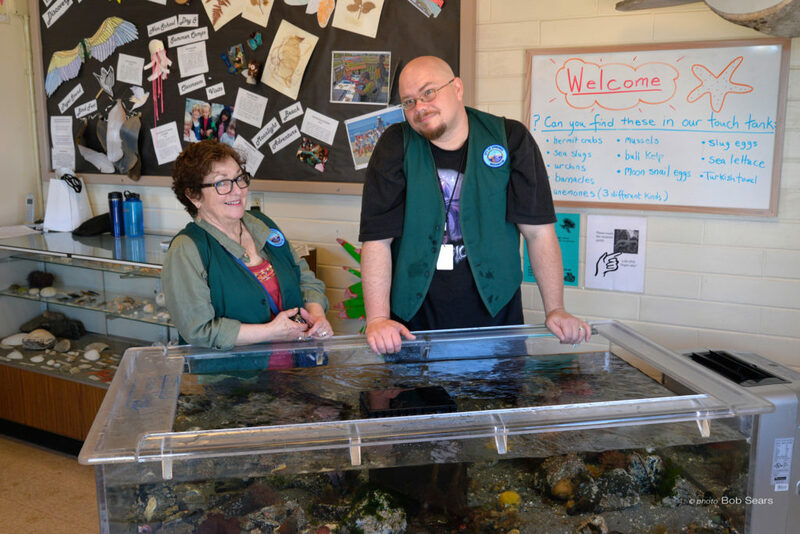 There is so much opportunity for education here, and while the facility is small, there is an amazing touch tank that has many of the local species contained within. Included are a few of the more interesting pictures I’ve been able to take! We’ll be open from 12:00pm to 5:00pm on weekends, all the way until labor day. One of the things about this opportunity that is surprising to me is that I’ve learned much more than I expected. 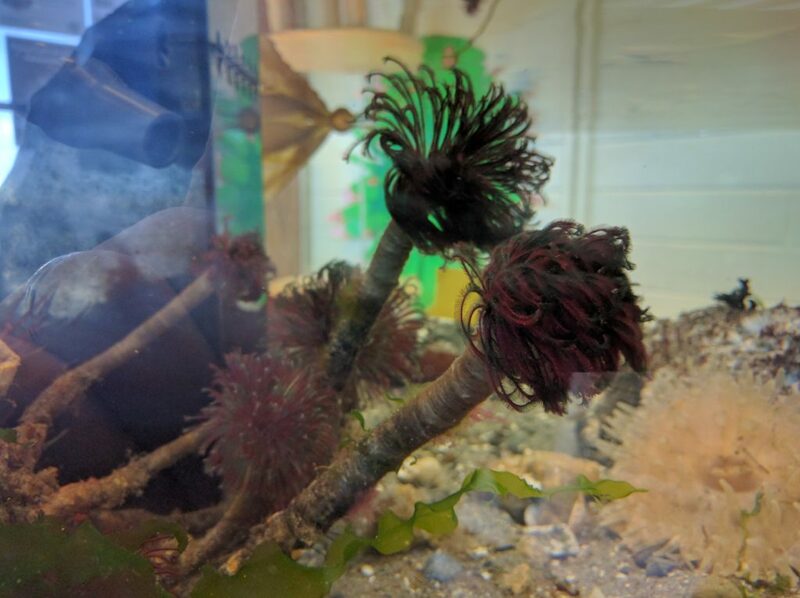 From Featherduster Tube Worms, to Clown Nudibranchs, to Painted Anemones, there has been a lot for me to learn. I encourage any and all of you to come down to the station and check it out! Everything is free to explore, and the rangers and docents are knowledgeable and friendly. You can even stop for Ice Cream at the nearby cafe, and if you’re lucky, you might see a baby seal hauled out on the beach! It’s been an amazing summer. Come down to the beach and explore and learn how you can make a difference for our precious waterways. And meet the Bald Fish Guy as an added bonus! I’ll be posting pics of some of the cooler things I’ve seen in days to come. The Kingston ferry, visible directly from the ranger station. The Bald Fish Guy in his natural habitat, with his wonderful co-volunteer Sondra. Come and see us! Also, as always, remember to Keep Swimming. So after a very, very long hiatus, Aquacast has finally got some wind in the sails. 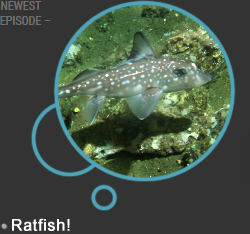 I’ve finally got a new episode published of Aquacast, this time about Sea Stars. While the episode is brief, I hope you enjoy it. I plan on posting regularly again, now that I’ve got all the equipment I need to make everything happen. I look forward to sailing these fascinating seas with you all, and I hope we can dive into many more discoveries as the podcast carries on. Let me know if you’ve got anything you’d like me to cover, requests are very much encouraged. Now, I’m going to take my own advice- It’s time to start swimming once more. Today I spent my morning at Washington Park, the crown jewel of the City of Anacortes. Washington Park has an extensive trail system with sweeping vistas of the Rosario Straight and Burrows Bay. My wife and I found ourselves perched on a rock face some 200-300 feet above the Burrow Straight watching as seagulls wheeled about, boats motored by, and swallows darted back and forth skimming the grass in search of insects. But what held our attention most raptly was in the waters below. A small shoal of Harbor Porpoises were playing in the current below us, with what appeared to be a young one in tow. The three creatures swam through passing boats wakes, wheeled about in corkscrew motions under the water, and even breached the surface, letting their bodies hit the water with a great splash. It’s one of the most incredible things I’ve ever seen, and all I had to do was sit back and watch. I highly recommend that, if in Anacortes, you explore the beaches and vistas of Washington Park. Life abounds, from chitons and crab on the rocky shores, to Harbor Porpoises in the waters beyond and I hope you get a chance to explore it! P.S. 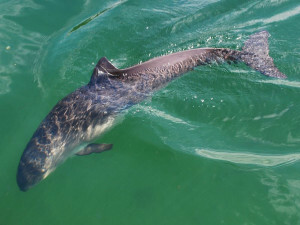 : Click here to learn more about the Harbor Porpoise! 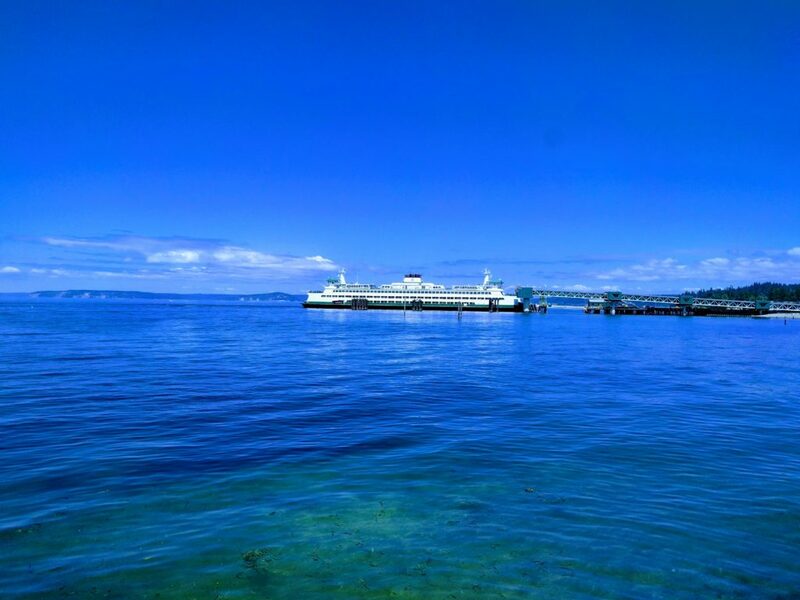 Nights at the Port of Edmonds are one of my favorite experiences. I enjoy walking along the dock, listening to the marine winds blow through the rigging of moored sailboats, and peering into the waters below to watch the local fauna exist. From crabs scrounging for scraps, to anemones waving in the current, to mussels filtering the particulates out of the water, the area is a treasure trove of life. My most recent foray on the pier found me at the guest docks, looking into the waters at an extremely low tide. Fish darted in and out of the rocks, there were crabs harassing each other, and most surprisingly, Sea Stars. Cruising among the rocks were many Sea Stars. I was elated! To know that there are survivors of the Sea Star Wasting syndrome at my local hangout was very heartening. They were large, orange creatures that were scouring the rocks, their 5 limbs probing for interesting creatures to eat. The Sea Stars have survived, bruised, but not beaten. I wonder what the consequences of the Wasting Disease will be. Hopefully, Sea Stars will recover quickly. I personally will be rooting for them. And, like myself and my readers, I will ever hope for their ability to Keep Swimming.